While ground engagements and improvised explosive devices remain the leading causes of civilian casualties, the total number of both declined, 19 and 21 percent respectively, when compared to last year. Last year’s high number of grounded engagements and IEDs is largely attributable to the election and runoff, prompting attacks targeting candidates, supporters, and polling stations. The rise in civilian casualties this year comes from a 78 percent increase in suicide and complex attacks by anti-government elements compared to the same period in 2014. Regionally, the south and east still lead in civilian casualties. Kunduz province, in the northeast, had the highest number of civilian casualties owing to a large Taliban offensive, and government counter-offensive, there from April to June. Nangarhar in the east, Ghazni in the southeast, and Helmand in the south were the next highest. Perhaps the most dangerous trend for civilians is the apparent fracturing of the Taliban and other anti-government elements. The appearance of groups pledging allegiance to ISIS in Afghanistan over the past year, dissent within the Taliban over peace talks, and other splits have put more civilians in danger, especially those caught between multiple rival groups. The replication of terror tactics–beheadings and civilian executions–inspired by ISIS in Iraq and Syria puts civilians at greater risk. The UN recommends, first, that the Afghan government “cease firing mortars, rockets and grenades into civilian-populated areas.” The report also recommends that the Afghans disband and disarm local militias and prioritize further capacity development of Afghan security forces. 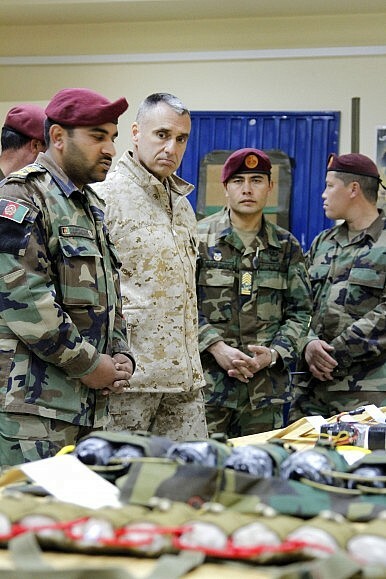 In 2015, NATO’s ISAF morphed into the training and assistance-oriented Operation Resolute Support and the Afghans took over in conducting the war.